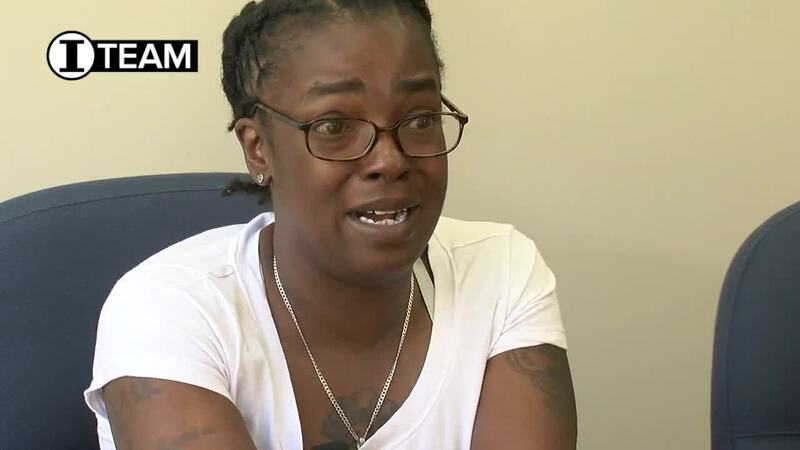 CINCINNATI -- About a month after the health department found black mold in Stephanie Smith’s Golf Manor apartment, Smith’s landlord gave her an eviction notice. A judge eventually dismissed the eviction. But Smith still ended up giving away her furniture, moving out and living apart from her three children for six months when she couldn’t find anyplace they could all stay together. Smith had a steady job and money to pay the first month’s rent for a different apartment. But she said she got rejected again and again after landlords saw an eviction filing on her record. Experts say that's a struggle that just about everyone who gets evicted experiences. Bottom line: “It’s worse than we thought,” said John Schrider, director of the Legal Aid Society of Southwest Ohio . 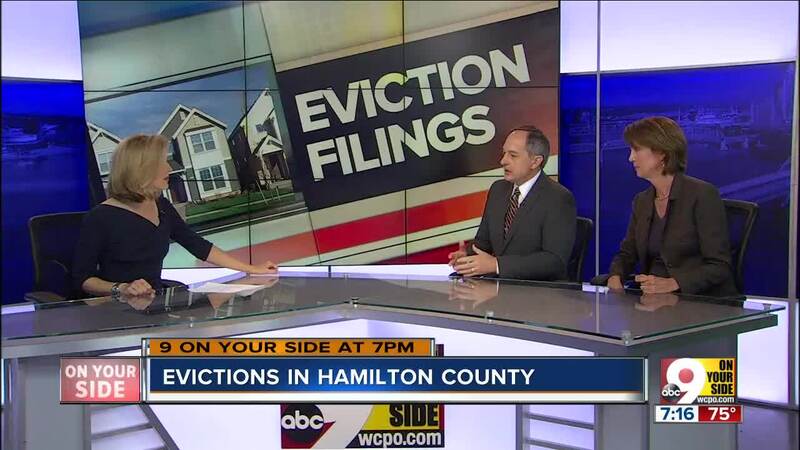 • Hamilton County had 49,757 eviction filings from 2014 through 2017. That’s an average of about 12,000 filings per year, or more than 230 per week. • The court decided less than 1 percent of eviction filings in favor of tenants, according to a sample of last year’s filings. Landlords won nearly 48 percent of those cases; nearly 50 percent got dismissed. • More than 88 percent of landlords have lawyers during eviction proceedings, but fewer than 3 percent of tenants do. The law requires landlords to have lawyers in court if their properties are owned by an LLC or corporation. • Neighborhoods with the highest eviction rates also tend to have the highest rates of poverty and heaviest rent burdens. The racial composition of neighborhoods was a strong predictor of eviction rates, too. Mount Airy had the highest eviction-filing rate of all Census tracts in Hamilton County. Other high eviction neighborhoods include Winton Hills, Avondale and west Walnut Hills. “Eviction leads to a lot of residential instability. Community networks are broken up. And a lot of time evictions also lead to job loss,” said Elaina Johns-Wolfe, a doctoral student and instructor in UC’s sociology department whose students analyzed the eviction data for the study. In the coming weeks, Legal Aid and Housing Opportunities Made Equal, the fair housing agency known as HOME, plan to take their findings to Cincinnati City Council and Hamilton County commissioners and make recommendations to try to reduce the number of evictions for the sake of tenants, landlords and communities. They devastate tenants, of course. But they also are expensive for landlords. “A landlord would rather have a rent-paying tenant in the property than a vacancy,” said David Donnett, a Cincinnati lawyer who has been representing landlords in eviction cases since 1980. Donnett, in fact, represents the landlord who evicted Stephanie Smith. He declined to comment much on that case because his client is appealing the judge’s decision. But he agreed to share his perspective with WCPO when it comes to how landlords view eviction cases. “Landlords will bend over backwards in legitimate situations and work with tenants to keep them in the premises because it’s just not good economics to have constant turnover,” Donnett said. Smith and her lawyer, Nick DiNardo, argue it’s not always that clear-cut. In Smith’s case, she said she paid her rent in May 2016 with money orders that she put in a pre-addressed, stamped envelope provided by her landlord, just as she had every month for the more than four years that she lived in the Golf Manor apartment. But late that month, Smith said, she got a call from the landlord saying her rent was late. Smith paid to have the money orders traced to see if they had been cashed or lost in the mail. But before she got the trace back, she said, her landlord called to say she was filing for eviction. Under Ohio law, putting rent money in the mail is considered payment, said DiNardo, the managing attorney for the housing and consumer group at the Legal Aid Society of Southwest Ohio. Stephanie Smith, in center of the back row, and her children. Legal Aid tried to connect Smith to the Volunteer Lawyers Project, but Smith’s court date came before she could make contact with a lawyer. Smith tried to ask for a seven-day extension, but the magistrate refused to grant it and said Smith was evicted. DiNardo told Smith he thought the magistrate had made a mistake and there was a good chance they could get the decision reversed so she and her kids could stay in the Golf Manor apartment. But everything was so uncertain. Smith said she was afraid of having all her belongings put out on the street so she decided to leave. 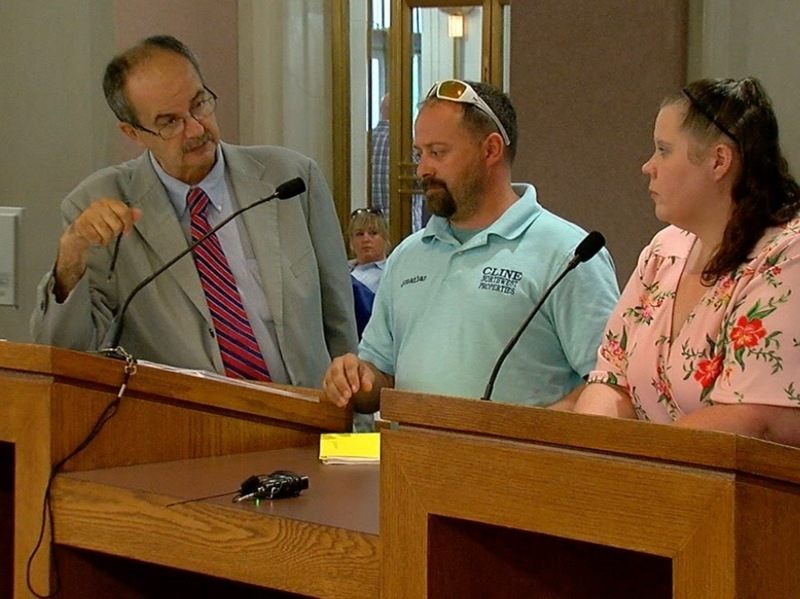 The closing argument in a lawsuit filed by Donnett on behalf of Smith’s former landlord described the case differently. Donnett argued that Smith admitted she mailed her rent late and said that after Smith received a refund because the money orders had not been cashed, she did not pay the rent she owed to her landlord. He wrote that Smith owed The Principle Group, LLC, a total of $1,917 to cover rent for May and June along with damage done to the apartment. 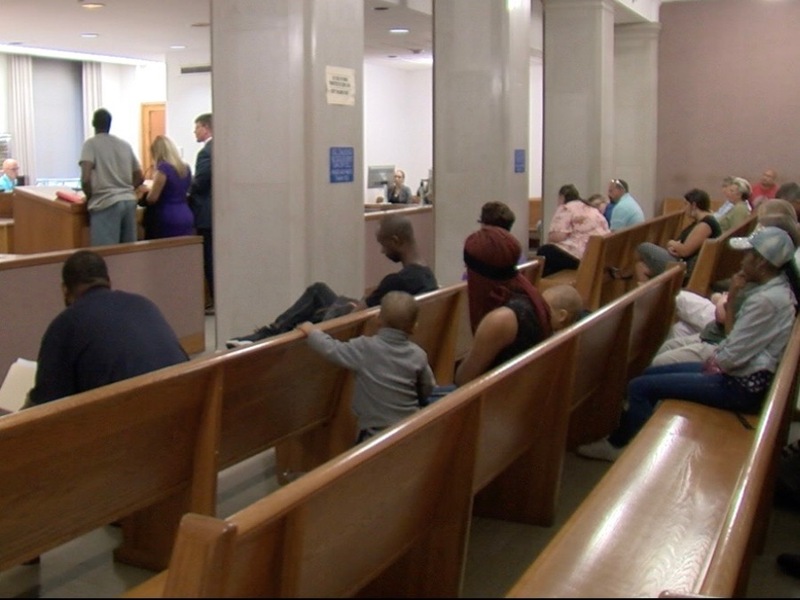 Hamilton County Municipal Court Judge Fanon Rucker issued a decision in the case on March 26, nearly two years after the initial eviction filing. The Golf Manor property where Stephanie Smith lived before she was evicted. “This Court believes the eviction was retaliatory and malicious, initiated and accomplished on false pretenses using false and misleading testimony,” he wrote. Rucker ruled that the Principle Group, LLC, was entitled to $847 for May rent and $200 for repairs made to toilets in the apartment. He ruled that Smith was entitled to $3,000 and $14,873.13 in attorney’s fees. Donnett said he is preparing an appeal. Smith said she and her children are doing well now, and she is grateful to DiNardo and to Legal Aid for the help with her case. But it hasn’t been easy. She said she spent six months calling property managers, paying application fees and trying to see apartments before she finally found a landlord that would rent to her in North Avondale. 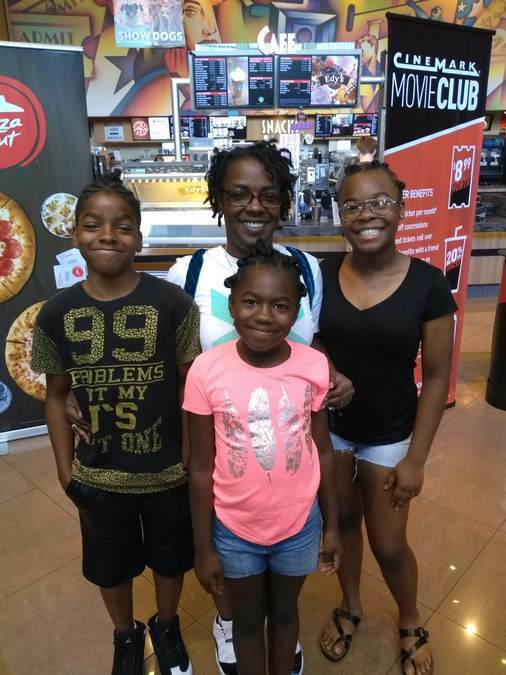 Smith and her kids slept on the floor for the first few months after they finally moved to the place in North Avondale, she said, because she had given away all her furniture when she couldn’t find a storage space that was big enough for everything they had in Golf Manor. Smith kept clothes, photos and other sentimental items, she said, but that was about it. “I started over when we moved,” she said. That’s something that, until recently, lawyers at Legal Aid didn’t fully understand, DiNardo said. The new UC study offers the first comprehensive look at how many Hamilton County families start over after evictions each year. To prepare the study, Johns-Wolfe and her class examined nearly 50,000 eviction filings with the Hamilton County Clerk of Courts between 2014 and 2017. Students used rental property addresses in the filings to map where evictions occurred in Hamilton County and then used U.S. Census Bureau data to determine the average household incomes in those neighborhoods. The research found that tenants in poor neighborhoods are far more likely to be evicted than those in wealthier neighborhoods, mirroring findings in similar studies across the country. 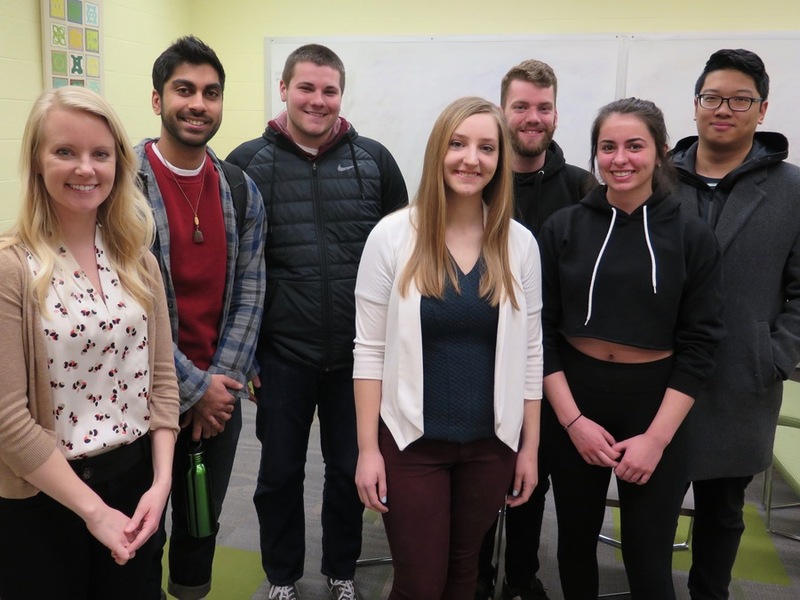 Johns-Wolfe’s students also examined the racial composition of the neighborhoods where evictions occur most often and found that renters in predominantly black and Hispanic neighborhoods were far more likely to face eviction than those in neighborhoods where residents were mostly white. 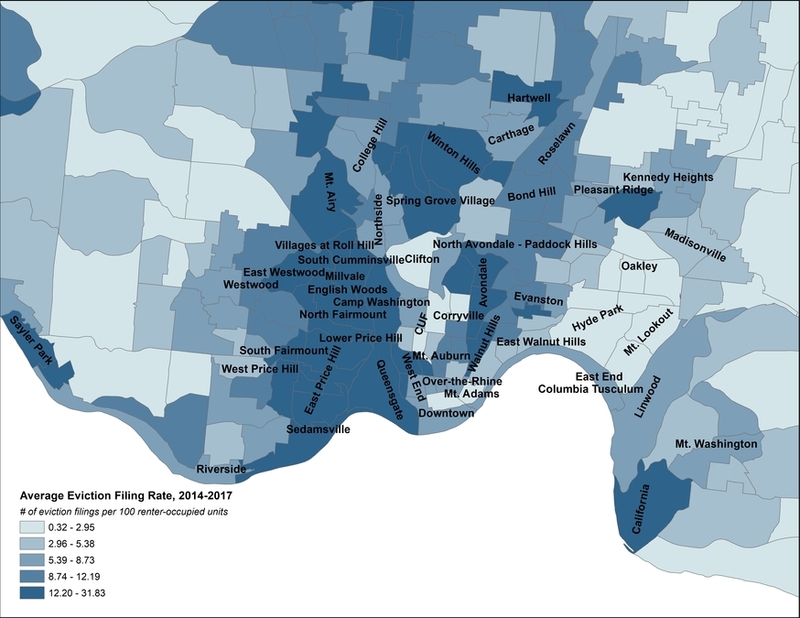 In fact, their analysis found that the racial composition of a neighborhood was a stronger predictor of eviction filing rates in Hamilton County than a neighborhood’s poverty rate or what portion of a typical tenant’s income went to rent. “It basically validates all of our concerns in terms of what we’ve been seeing on a case-by-case basis in terms of the calls we get,” said Jeniece Jones, executive director of HOME. The relationship between race and evictions can be traced back to historical patterns of segregation, she said, and federal policies that prevented black families from owning homes and living in certain neighborhoods. But that doesn’t mean the issue is a lost cause. The UC report includes a series of recommendations to try to reduce the number of evictions in Hamilton County, which occur far more frequently than the national average. In Hamilton County, 4.04 of every 100 renters experience an eviction, the study found, compared with a national eviction rate of 2.34. • Just Cause Eviction Ordinance. This would spell out the reasons a landlord can evict a tenant, such as for failing to pay rent or because the rental unit needs major repairs. Seattle, San Francisco and Boston already have adopted similar protections. The apartment association’s Tassell argues that state law already spells out the rules clearly, an assertion that Schrider of Legal Aid disputes. • Pay to Stay Ordinance. This would prohibit an owner or property manager from proceeding with an eviction for non-payment of rent if the tenant has the money that he or she owes. Schrider argues that it’s only fair that tenants should be allowed to stay if they can pay what they owe. But Tassell and Donnett said that an eviction for non-payment of rent could be the most efficient way to get rid of a problem tenant and that landlords need to have that option. • Prevention of Unnecessary Eviction Program. Some families just need a little financial help to deal with a crisis and avoid a costly eviction. This recommendation calls for the city to allocate $750,000 from its General Fund each year to be used to help families that face eviction because of circumstances beyond their control. Families could get one-time grants of up to $1,000. 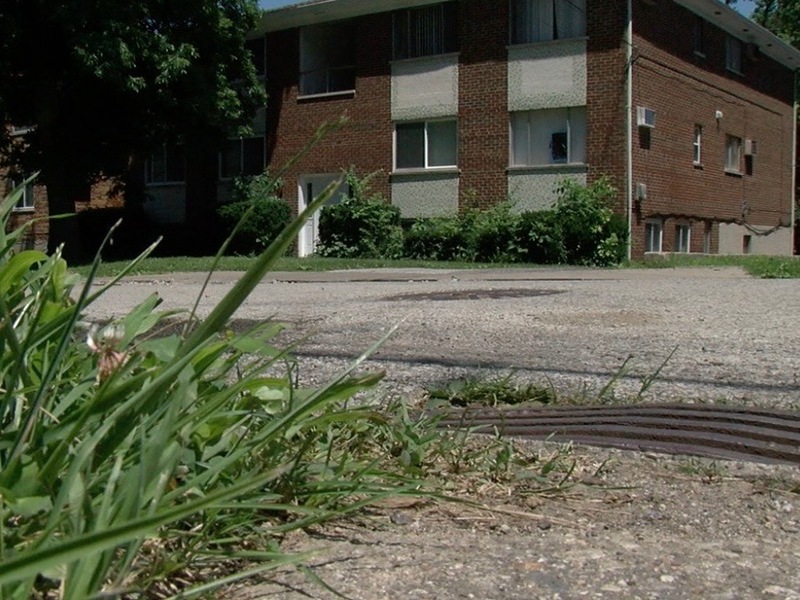 Tassell said landlords understand that one-time help can make all the difference for families but said he doesn’t think tax dollars should be used for this purpose. He said it should be up to nonprofit organizations to provide such help, adding that the apartment association has donated to such efforts in the past. • Right to Counsel Ordinance. Unlike in criminal court, low-income families facing eviction have no right to a lawyer. This ordinance would provide low-income renters with a publicly funded attorney in all court eviction proceedings. The study recommends the city allocate at least $350,000 each year from its General Fund to help cover the costs. Tassell and Donnett disagreed with this idea, too. They said that Legal Aid already gets funding to represent low-income clients and that clients can get a lawyer if they want one. Schrider said Legal Aid has to turn away thousands of people each year because it doesn’t have the resources to help everyone. • Source of Income Discrimination. This could be the most controversial of all the recommendations. It calls on the city to enforce “Ordinance Chapter 740,” which states that no owner of a rental property can refuse to rent to someone because of that person’s source of income or because he or she has a housing choice voucher, commonly known as Section 8. The students in Johns-Wolfe’s class that worked on the study have moved on to other course work and commitments. But several talked with WCPO about the impact the project had on them. 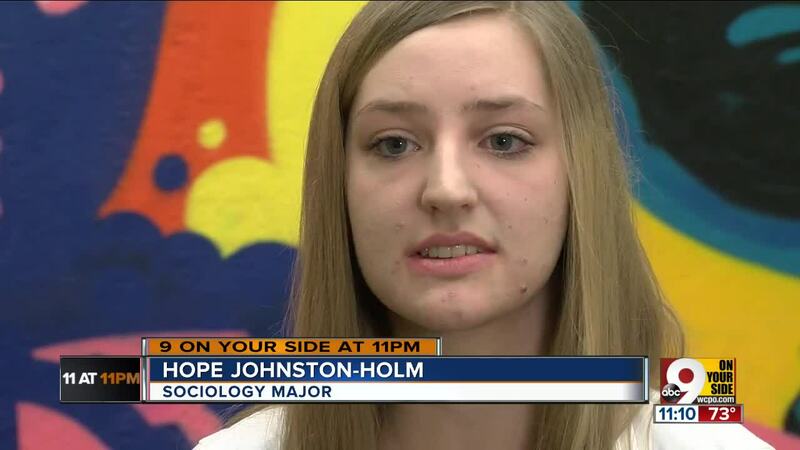 Hope Johnston-Holm is a sociology major from Pleasant Ridge. She said the research felt invasive at times. Elaina Johns-Wolfe, far left, and her students that helped with the eviction report. It can be easy to sit back and say that people should just pay their bills, the students said. Johnston-Holm said she hopes people will read the report and think of evictions as something that happen to entire communities instead of being problems that certain families face. Tassell and Donnett see evictions differently, of course. They have stories about landlords that have been ripped off and tenants that have left dog droppings all over carpet or have poured quick-drying concrete down toilets just before they turn in their keys. But even Donnett, who has been representing landlords in eviction court for the past 38 years, hasn’t gotten numb to seeing parents show up for an eviction hearing with kids in tow.